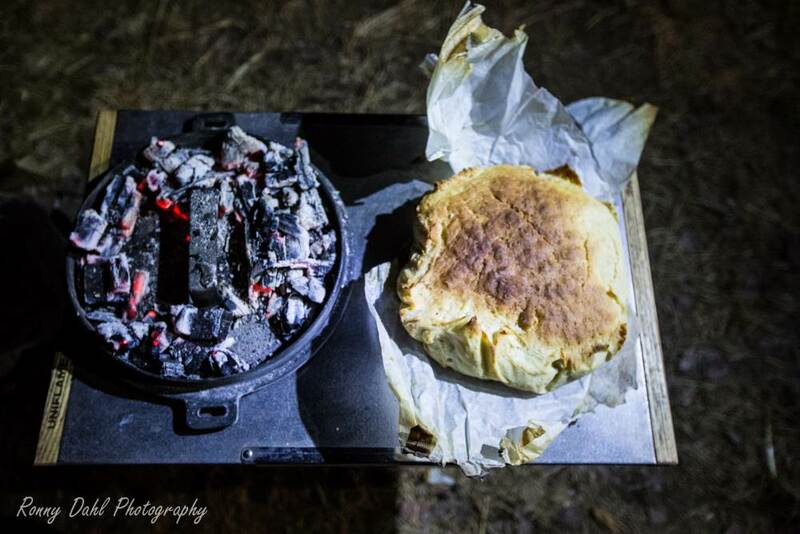 Damper recipe and camp oven bread. 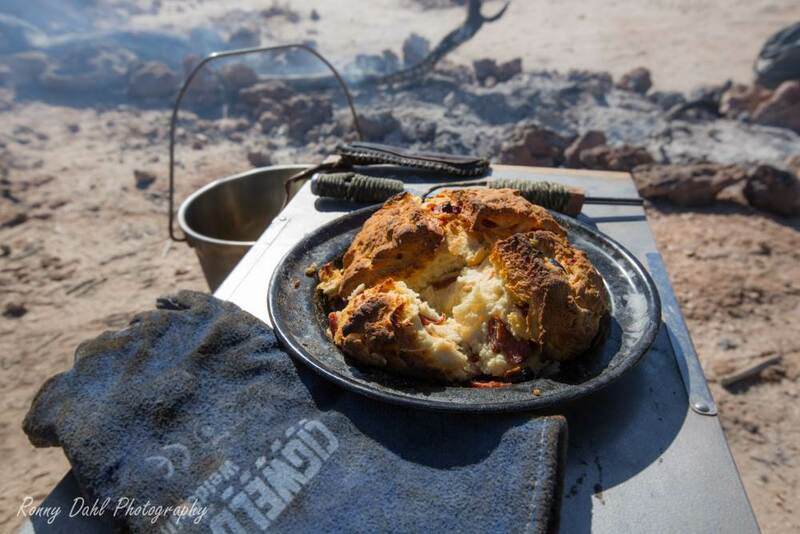 Camp Oven Bread And Australian Damper Recipe. A recipe I acquired from a local in Wongan Hills W.A. I have changed it slightly but the idea is from Wongan. This is a real simple, easy and very tasty damper and has replaced my expired bread more than a few times out on the tracks. STEP 1: mixing the ingredients can be added in any order, chop the bacon (or cocktail snags) into thumb nail size pieces, shred the cheese and chop the onion up into fine pieces. STEP 2: Throw in the flour followed by water and everything else, start mixing and be rough with it, the dough needs a good bit of work. STEP 3: Shape the damper into a desired shape and place into a camp oven with a trivet under the damper. STEP 4: Place on a small bed of coals with & load up the lid with plenty of coals/charcoal from the fire and add a few sticks on top to burn. Check in 20-25mins with it being usually done by 30mins. Time will vary on type of wood used and wind is a big factor. STEP 1: Heat 1.5 cups of water to around 25-35 degrees. STEP 3: mix yeast into water and pour into the bucket with the other ingredients and start mixing. Using a wooden spoon to start with is recommended as the mixture is very sticky. STEP 4: Once the dough is ready and shaped place into a bread tin that will fit into the camp oven, or place into bucket with baking paper all around so it doesn’t stick to the sides when it rises. STEP 5: Place into the shade for 60-90mins if you added the optional sugar. IF no sugar was added the mix will need 5 hours resting in shade. Make sure cling wrap is sealing the top of the bucket. STEP 6: Place on a small bed of coals with & load up the lid with plenty of coals/charcoal from the fire and add a few sticks on top to burn. Check in 20-25mins with it being usually done by 30mins. Time will vary on type of wood used and wind is a big factor. · Tools: Camp oven, trivet, bowl or bucket, wooden spoon for mixing, baking paper, cling wrap and welding gloves. STEP 1: Mixing the ingredients can be added in any order, chop the salami in the strips or cut in half’s if the thin sausage style (pepperoni works great if you want spice), half black olives (pitted) & sundried tomato thin strips which don’t really need to be chopped. STEP 4: Place on a small bed of coals with & load up the lid with plenty of coals/charcoal from the fire and add a few sticks on top to burn. Check in 20-25mins with it being usually done by 30mins. Time will vary on type of wood used and wind is a big factor. 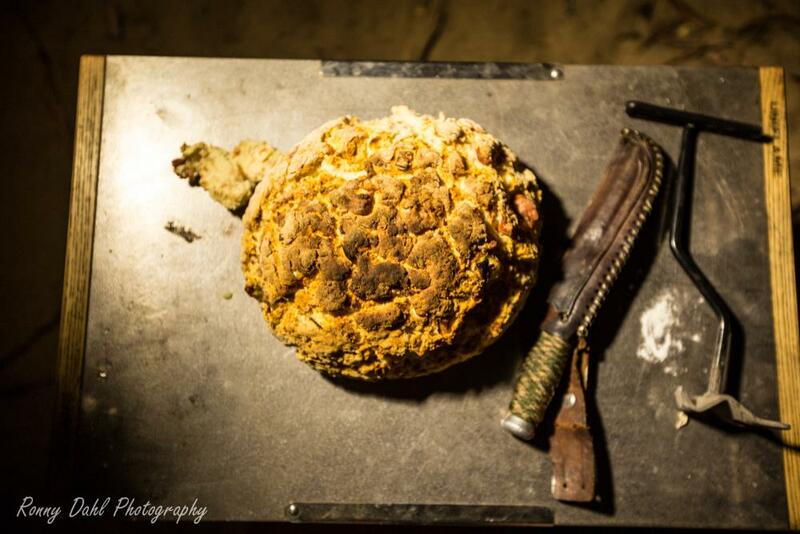 · Tools needed for this Damper recipe: Camp oven, trivet, bowl or bucket and welding gloves. 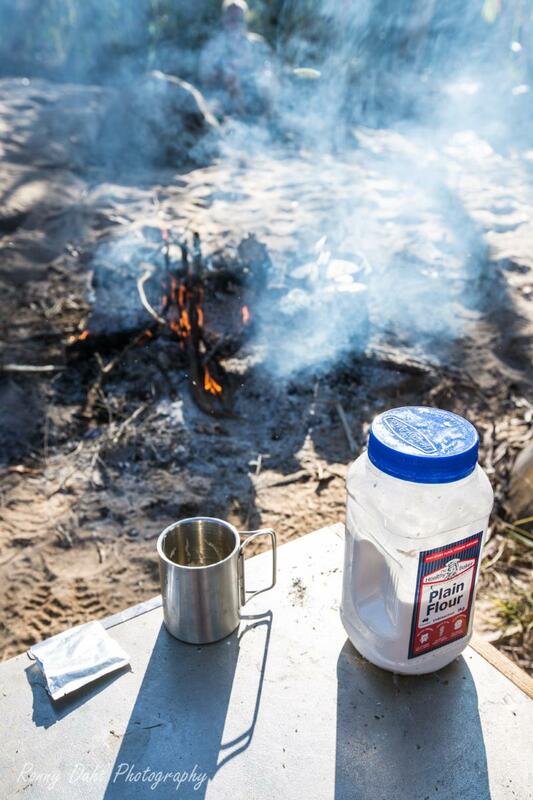 Leave Damper Recipe And Go 4 Wheeling In Western Australia.